Aside from being the 6 year anniversary of Tech N9ne’s Everready album, November 7th 2012 may as well have been Rittz Day with White Jesus popping up all over the place, including Sway In The Morning. 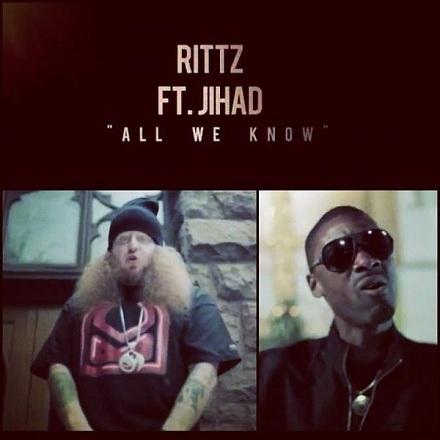 As if the Shade 45 appearance wasn’t enough today, Rittz dropped the latest set of visuals from his White Jesus: The Revival mixtape for the single “All We Know” featuring Jihad and produced by DJ Burn One. The incredibly powerful video is a shockingly realistic account of a family being torn apart by drug addiction and poverty. We won’t spoil the ending for you, but suffice to say it left us with chills & at the same time wanting more. What did you think of the video? What has been your favorite Rittz video so far? Let us know in the comments section below!